In North Dakota, Williams County ranked second in sales tax collections in 2015. This is the latest sign of the positive economic impact that the Bakken, and oil investments as a whole, have on North Dakota’s economy. Williams County collected over two billion dollars in sales tax last year, indicating that although the price of oil is down, the local economy remains strong. With a peak population of 50,000 during the last decade, Williams County’s population stands far less than the over 160,000 population of Cass County, which topped the list. 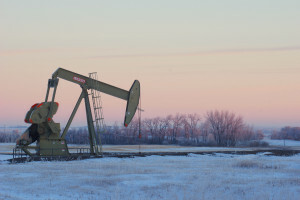 As the home to one of North Dakota’s largest industries, counties throughout western North Dakota have seen their taxable sales collections grow substantially over the last decade, showing the growth effect of oil investment and it’s ripple effect in growing other industries statewide. The growth in western North Dakota has contributed to record sales tax collections for the entire state of North Dakota.